Hi, Thank you friends and viewers. 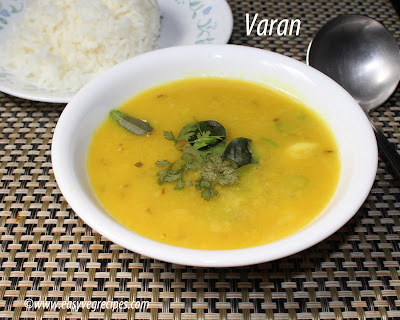 Today I will post how to make Varan recipe. 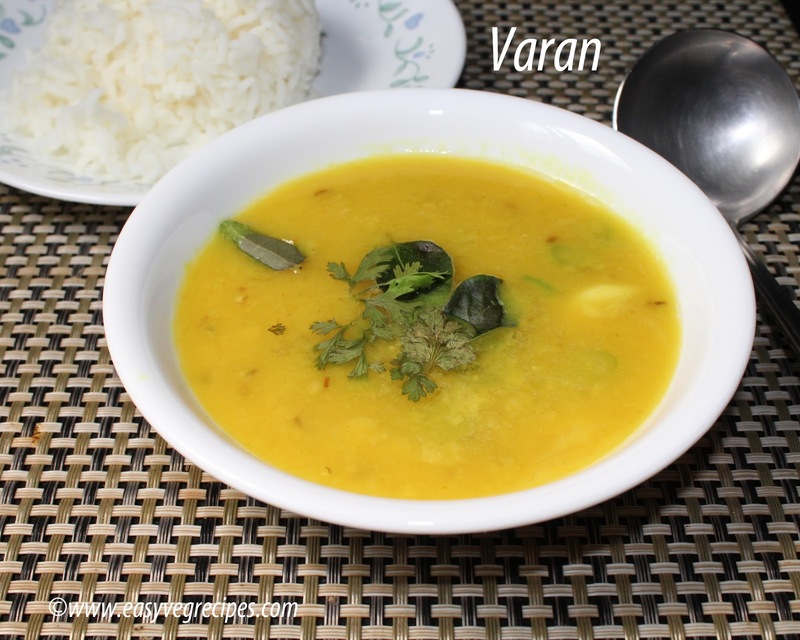 Varan is toor dal tempered with ghee and cumin seeds. It is from Maharashtra cuisine, served with rice. It is traditional recipe made almost in every household. A very light dish. It is made mainly during Ganesh festival season.It is plain and simple. There are numerous variations to this dish. Adding onions, tomatoes and adding other spices all depends on ones choice and taste. My neighbour Usha's sister Shobha gave me this dish. 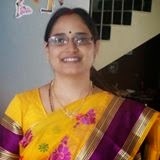 I cross checked with my cousin's wife Priya. Both gave me the same procedure, simple way of making it. Just adding garlic and temper with crushed cumin seeds. It is served with hot piping rice, so both of them together called as VaranBhaat. Pressure cook toor dal for three to five whistles. Allow the cooker to cool down, release the pressure and mash the dal. Add little water, make it loose and smooth. Chop green chilli and peel the skin of garlic. Heat ghee in a pan, add crushed cumin seeds. When they splutter, add garlic and green chilies. Add turmeric powder and salt. Mix it well. Allow this to boil for 5 to 10 minutes. Season it with curry leaves and coriander leaves. Serve varan with hot piping rice.